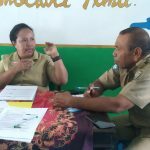 Taman Bacaan Pelangi Goes to Spice Islands! 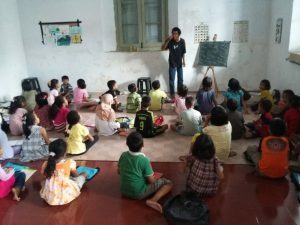 Our time as volunteers for Taman Bacaan Pelangi has almost lasted nine months. During this course, we have been located at the wonderful Island of Flores, Nusa Tenggara Timur. 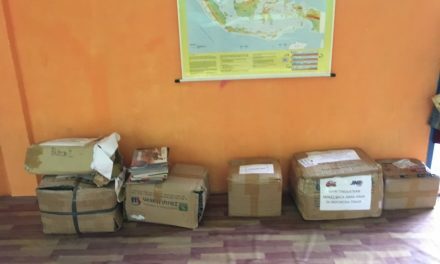 But you may know that TBP has several libraries in the farer east of Indonesia, especially at the famous Spice Islands of Maluku and that’s exactly where this story comes from. Paul and I got the chance to go to Banda Islands, the former “middle of the world”. The Banda Islands used to play very important in international politics and economics due to its special resource: nutmeg! Back in the early colonial time, nutmegs had an equal and for some chance a higher value than gold and the Banda Islands were the only place in the world, where the nutmeg trees set its roots. That is why the Netherlands exchanged New York, former New Amsterdam, against an island from the Banda archipelago which belonged to Britain. It’s a hell of a story and really hard to believe, especially if you compare the city which never sleeps with the remote and sleepy Banda Islands. However, the time went by, nutmeg plants have been stolen from the islands and nutmeg lost its value. Which stayed in Banda are some forts, old colonial buildings, museums and still many spices, which together are responsible for the unique flair of the archipelago. The library is located in one of those special old colonial buildings on the island Banda Neira. 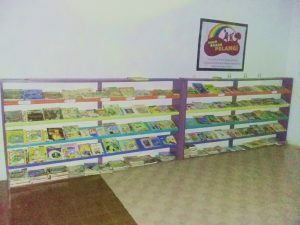 It’s a spacious building with many opportunities to read and for many more activities. 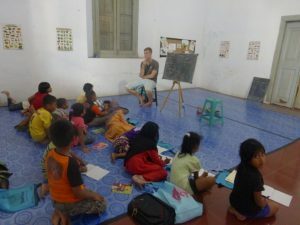 We cooperate with the local project “Warna-Warni Kids” that takes care of educating Banda’s children. They mainly provide English lessons, music sessions as well as art and craft activities. The local volunteer, Marga does a great job, encouraging the kids to dream big and he is a great role model as well, taking care of the environment and plastic issues. Unfortunately, most of the books were not stored in a bookshelf at this point, so we organised new and really nice bookshelves, which give the big room an extra flair of a library and a place where you’d love to read. 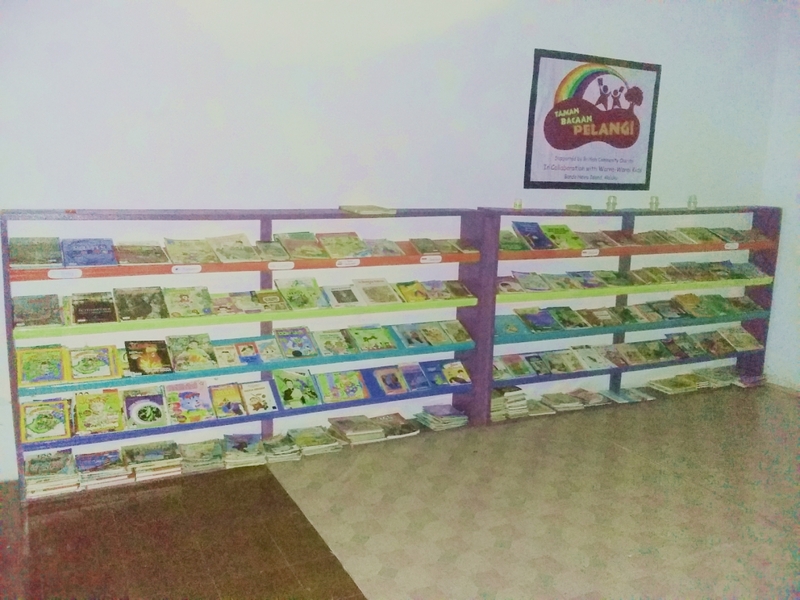 The kids also have easier access to the books and can see the book covers due to the new shelf system. 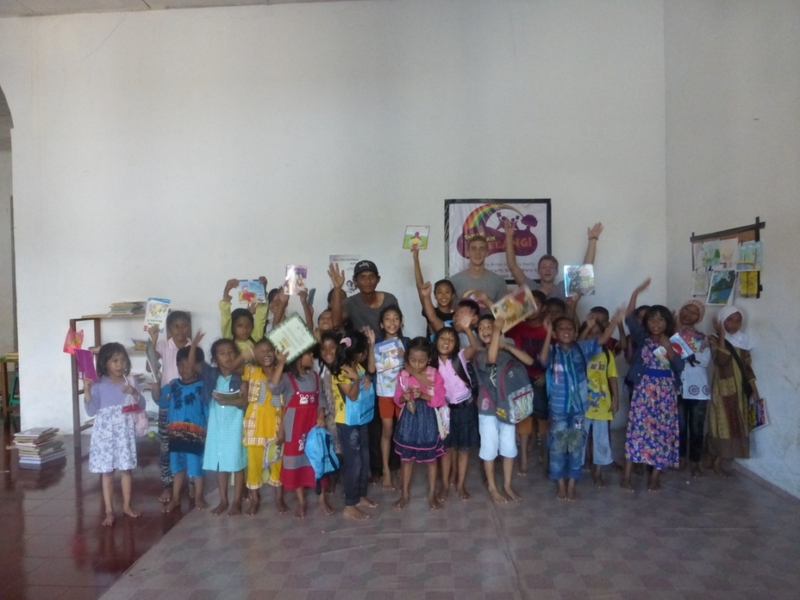 We also initialised a library system, ordering all the books by six categories which fit to all of our books there: knowledge, magazines, comics, bilingual books, English books and Indonesian storybooks. Every book got a special stamp for its category, making it easy to store the book from where it had been taken. The new books which we brought with us are also a part of the library offer right now. I guess the kids take a hold on that for a while. Of course we did not only bring books and organised bookshelves, but during our time in Banda, we went to the library every afternoon. I can tell you that we had a lot of fun with those awesome kids! The kids are usually between 3rd and 6th grade and there is kind of a regular clique which you can find at the project whenever it is open. It did not take too long to build up relationships with the kids. 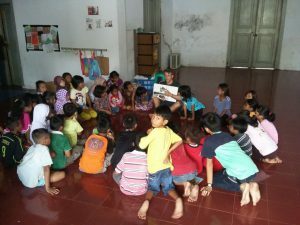 Starting with shared reading and handicraft activities we soon discovered the kids’ great character, which makes it so easy to work with them. They were really excited about making colourful mosaic fish, library cards and their own drawing books. 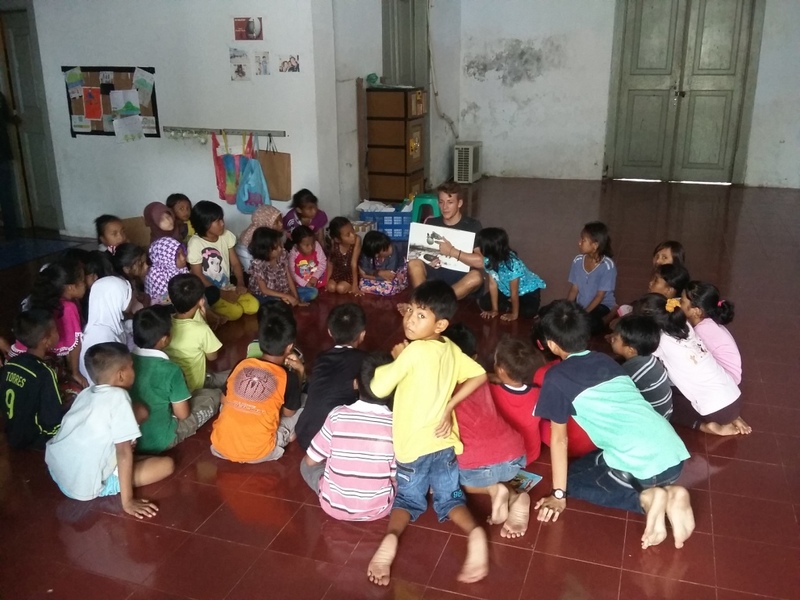 We also taught the kids about the topic “our body” and introduced the songs “Head & Shoulders” as well as “If you happy and you know it”. You would have loved to see the kids singing and dancing around, as happy as they could be. It took some time for sure, but it was really worth the effort! Another topic was fruits & vegetables, combined with the game “fruitsalad”. Every child gets a fruit, around five fruits in total to be shared, sitting in a circle. One child is in the middle and has to call out two or more fruits to switch seats. During this time the child in the middle has to catch one of the free seats and so on. The children highlight was “fruitsalad” causing all kids/fruits to switch seats, running around. At some time, we could not stand it, laughing out loud, seeing the kids having so much fun. The kids did not want to stop playing until it was dark! 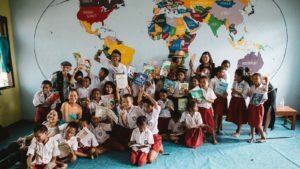 Unfortunately, only the kids from Banda Neira have access to books, whereas the kids from the other islands lack this access. 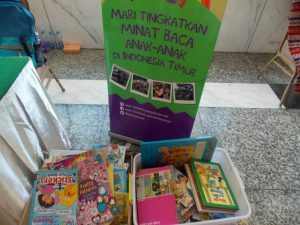 Therefore, Marga takes some books from time to time, loads them to his small fisher boat and brings them to the other island for one afternoon, providing books on time for those kids. 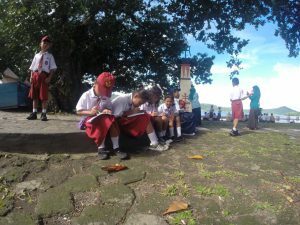 We also used the chance of a ceremony in Banda Neira where all kids came to the island to give them the chance to read. We just took the books and carried them to place in front of the ceremony. As soon as the official part ended, we found us surrounded by many kids who were reading! There were a couple of older kids as well, shy in the beginning to take one of the books, but inspired as soon as they started reading! It was so nice to see those happy kids, reading next to the ocean with their friends. 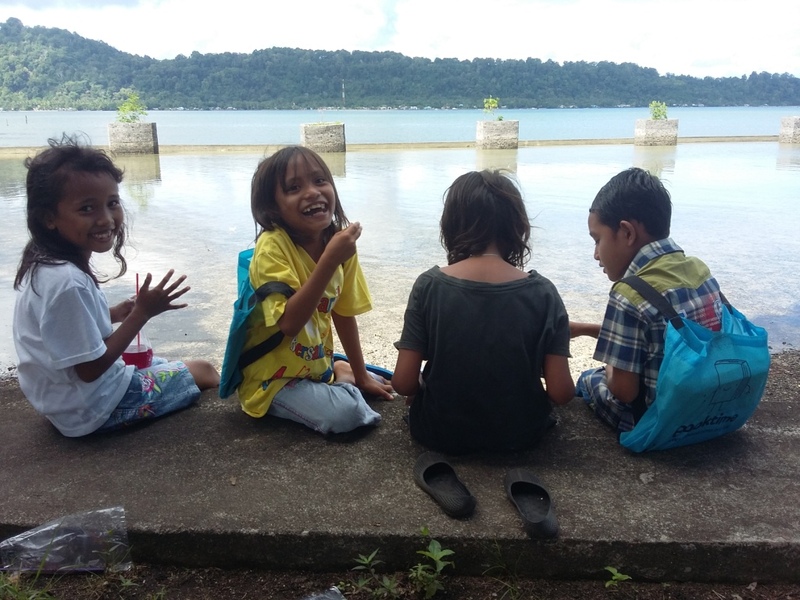 To come to an end, we really had a nice time with those awesome kids on this special island. But you also see, that there are many places left, lacking the access to books. 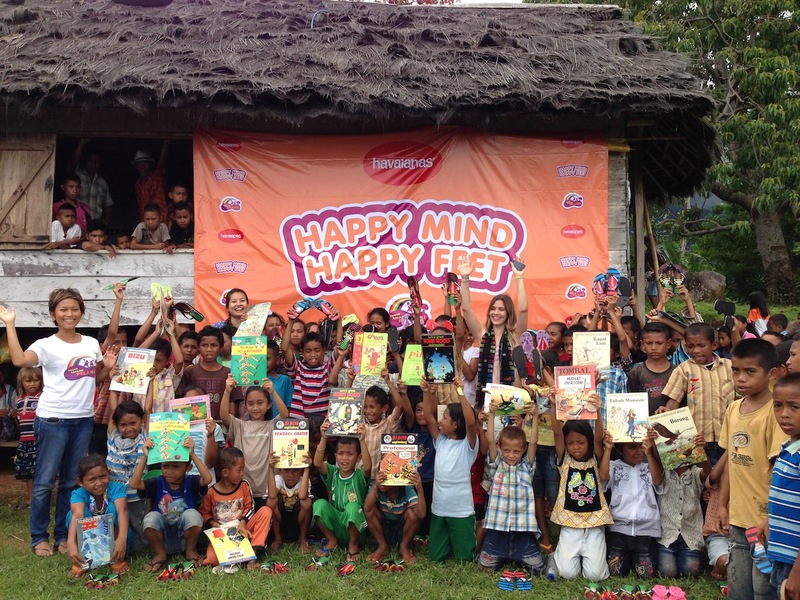 Especially in a remote area, books can be the key to a better life, and for sure making so much kids happy! We already reached a lot but let’s go to increase our impact! Let’s go for it together! 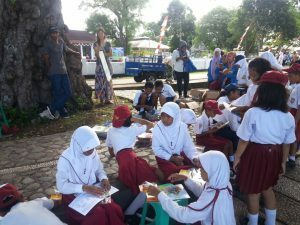 Taman Bacaan Pelangi (Rainbow Reading Gardens) Open on Papagarang Island!